Vanessa is our main receptionist. She will always greet you with a smile. She has been with us since May 2017. She is genuine, sweet, and adds a genial quality to our office. Vanessa is a go-getter and is always eager to help. She loves working with our patients and enjoys getting to be the first person the patients come in contact with. Vanessa is also bilingual. 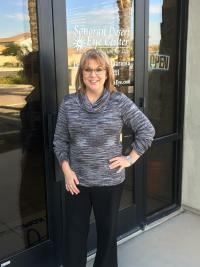 Tiffany is our Office Manager and has been here since day one.She takes care of any and all issues that arise. 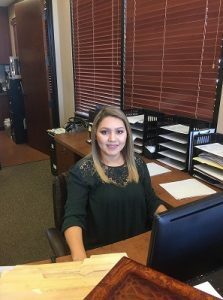 She works closely with insurance companies and not only keeps the office up and running, she makes sure each employee is happy and that translates to the patients. Estrella joined us in January 2019. She speaks Spanish and works hard to make sure patient’s needs are addressed. She’s been a wonderful addition to the practice.